THE FLATTER THE MODULES, THE HIGHER THE YIELD! 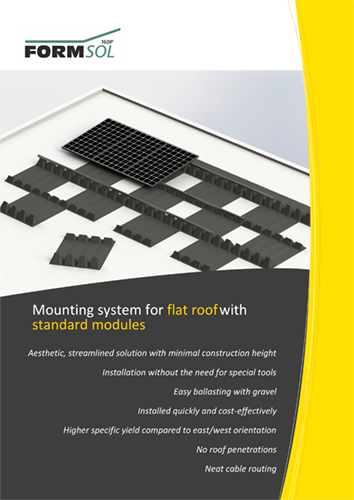 The PV mounting system FORMSOL160P has been specifically designed for flat roofs. 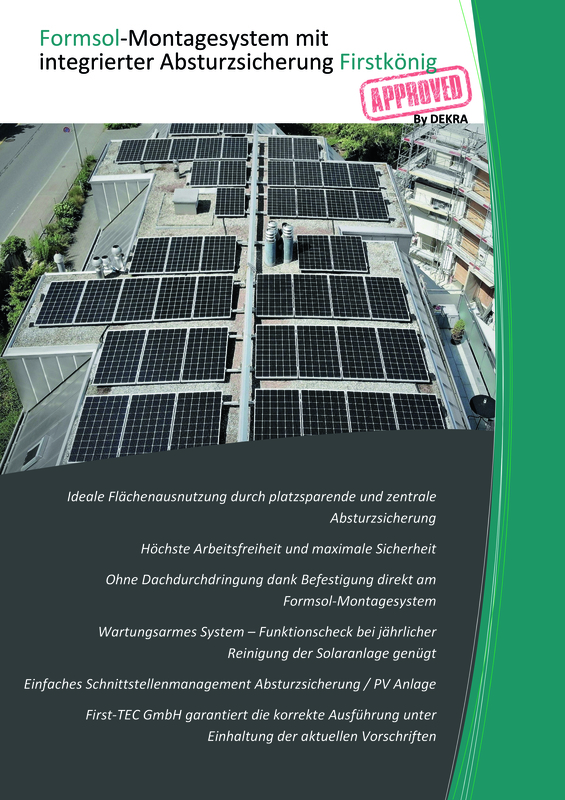 The aim is the optimal utilisation of the roof area and a highly aesthetic integration of the photovoltaic system. The angle of inclination of the solar modules is 5°, which allows the spacing between the rows to be small. This results in a very large energy yield per roof area, with a higher specific yield compared to that obtained with an east/west orientation. The FORMSOL160P elements made of recycled PE are placed overlapping on the leak-proof roof covering. 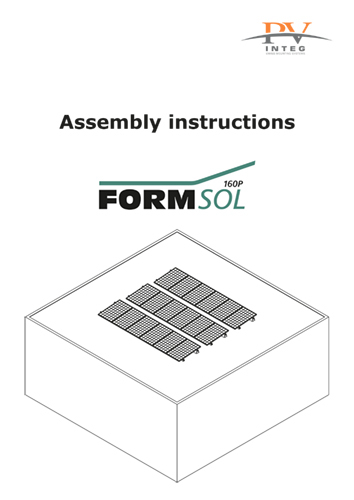 This design feature enables quick and easy assembly of the supporting construction on flat roofs, without the need for measuring. Half-size elements absorb the stronger winds encountered in the edge regions. The FORMSOL160P elements are weighted down with gravel or garden paving slabs to ensure that they remain firm in wind. The aluminium sections are attached to the FORMSOL160P elements using self-tapping screws without the need for special tools. The solar modules are then attached with module clips to the attachment points along the long edge at four equal incremental distances. Clips ensure easy and secure attachment of the cable harnesses to the mounting rail.